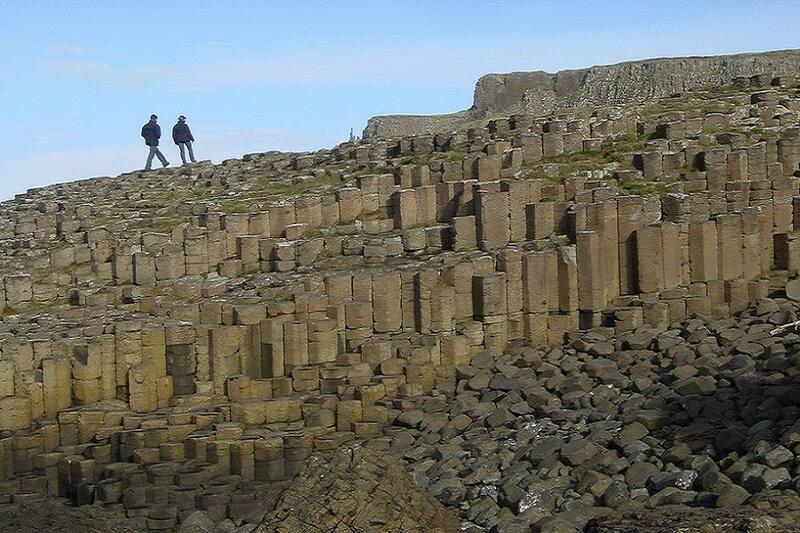 Resting against the coast of Northern Ireland’s County Antrim is a grove of 40,000 stone pillars known as the Giant’s Causeway. What’s most remarkable about the feature is the regularity of the stone columns, which seem to have organized themselves into neat, hexagonal blocks that huddle together as if they were cells in a honeycomb. The columns are so regular that it was difficult for the area’s residents to imagine that the feature was anything but an artifact of some massive building project. Before people had a modern understanding of geologic processes and how they work to shape the land, it was easy to assume that anything pattern this regular must have been the work of some higher intelligence. 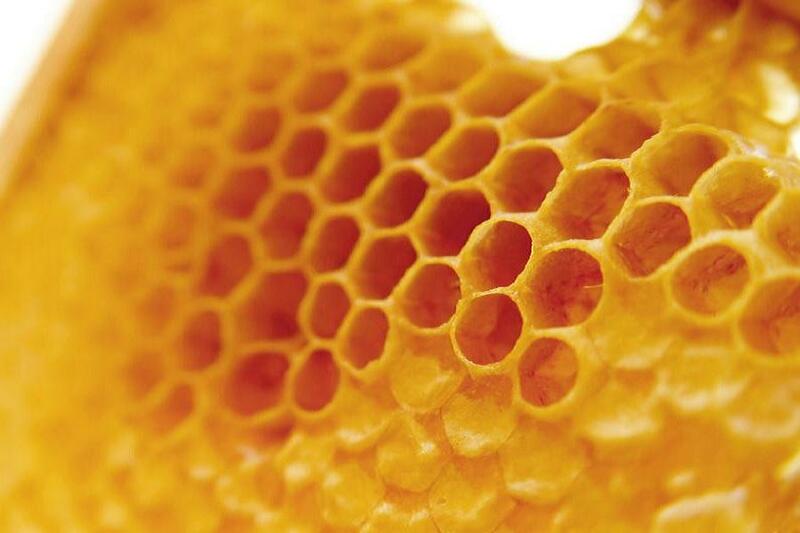 Remember that bees use hexagonal patterns because it lets them pack maximum storage volume into restricted space while economizing on building materials. 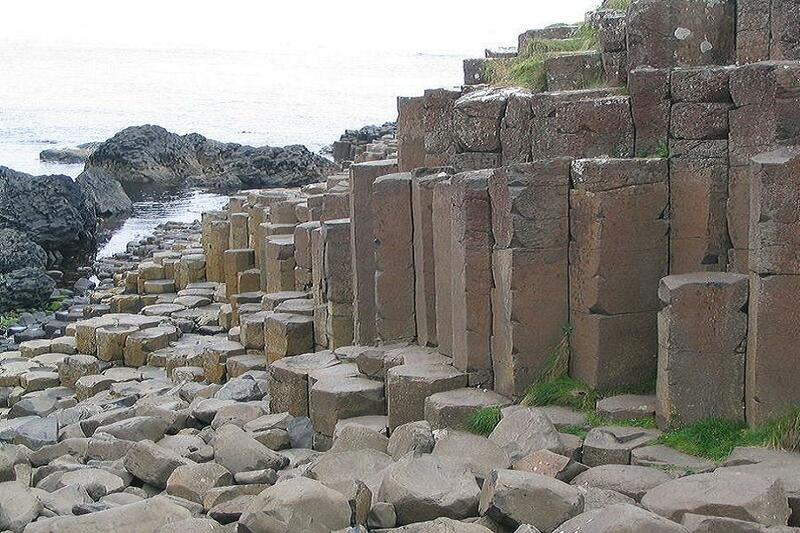 The hexagon is a weathering pattern that requires the least work by available energy to crack the rocks. To understand what makes these rocks so special, it’s worth learning their history. 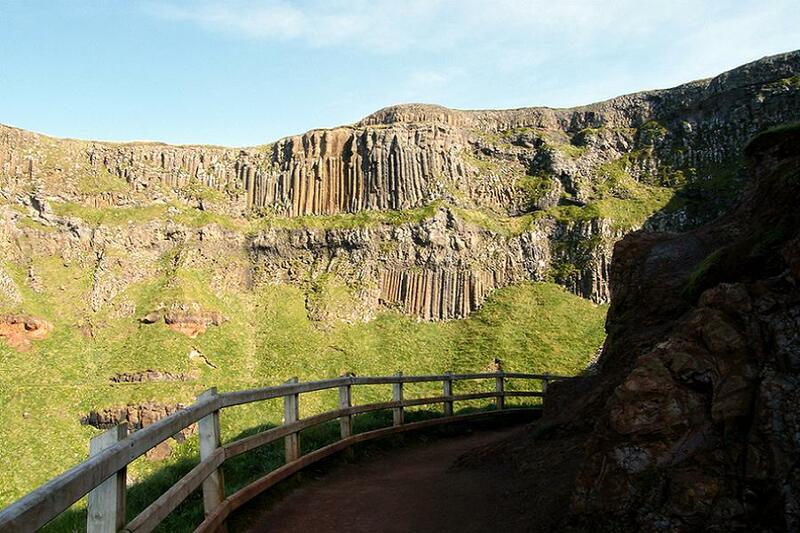 According to Irish legend, the Giant’s Causeway was built—appropriately enough—by a giant. Far back in ancient times, the Irish giant Fionn mac Cumhail (or Finn McCool, if you got an A on your Joyce paper in college) was challenged to a fight by the Scottish giant Benandonner, which is the kind of thing giants used to do back then. 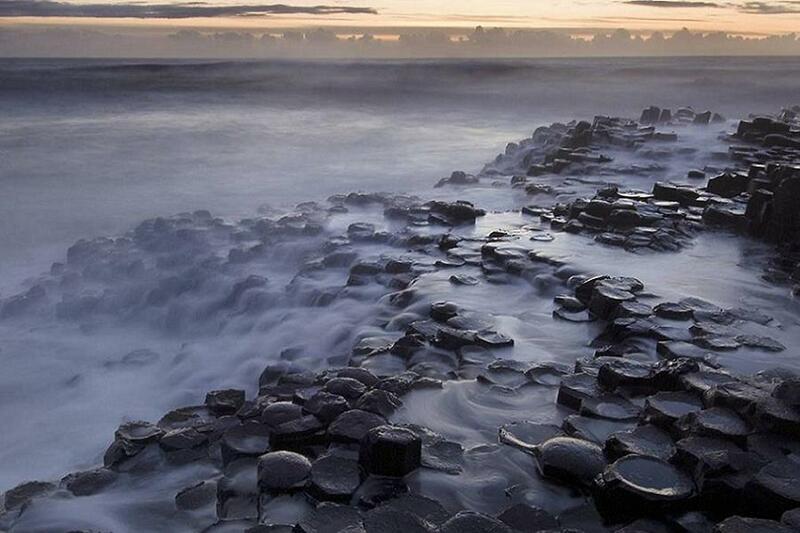 Fionn built the causeway to meet Benandonner on his own turf, but then ran away in terror when he bore witness to the Scottish giant’s staggering size. 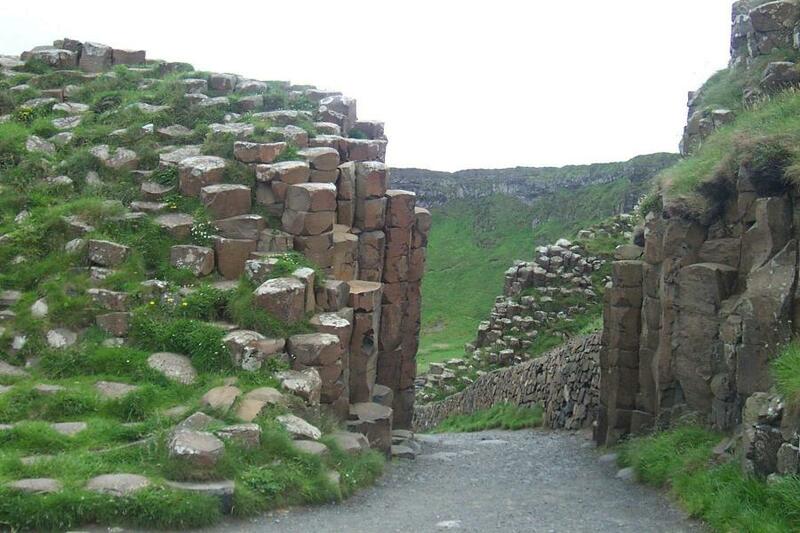 Benandonner—slightly miffed that Fionn hadn’t shown up for the fight—went looking for his enemy in County Antrim, Ireland. When Fionn heard that Benandonner was coming, he dressed up as a baby to hide his identity. Told that the baby he spotted wasn’t Fionn but rather his son, Benandonner realized that if the man’s baby was that big, Fionn mac Cumhail must be a monster. Benandonner ran all the way back to Scotland, tearing up the causeway as he went to keep the Irish behemoth from following him.